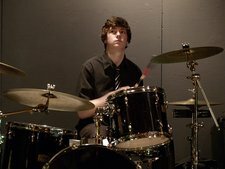 My name is Bryan I'm 18 and I've been playing drums for about 6 years. My main influences are Carter Beauford, David Garibaldi, Ginger Baker, Levon Helm, and John Bonham. Give me an email if your interested in anything serious or just casual jamming.